- promoting Lebanon and the Lebanese dream in the Arab world. The book offers insights into the history and evolution of Lebanese television from 1959 to 1990, which was considered a golden age period. Using rare and iconic photos, it illustrates the greatest moments of Lebanese TV in news, talk shows, series, sports, and entertainment. Zaven Kouyoumdjian is a Lebanese television celebrity, talk show host and producer, who was named by Newsweek magazine in 2005 as one of 43 most influential people in the Middle East. He is also a media consultant, researcher and lecturer at various universities and media institutions in Lebanon. 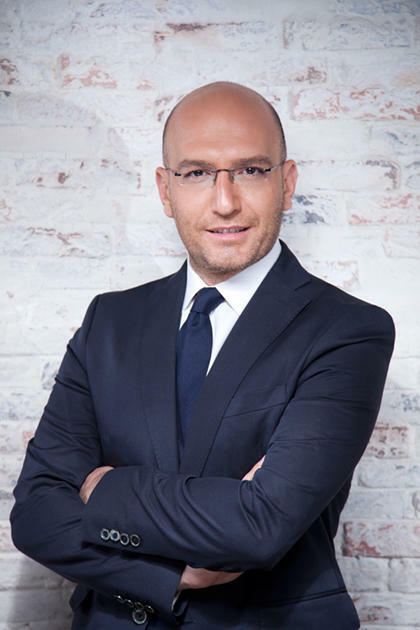 After graduating from the Lebanese American University, Zaven began his career as a news reporter at Tele Liban, Lebanon’s state run television. He then moved to Future Television to launch his renowned and top-rated talk show Sire Wenfatahit, which became the longest running Arab social talk show (1999-2012). Sire Wenfatahit specifically focused on gender roles and on introducing modern values and lifestyles. Being the first to interact with online audiences and receive live emails, Zaven has contributed to bridging the gap between television and new emerging media. In addition to Lebanon on Screen, Zaven has written three other books: Lebanon Shot Twice, A Witness on Society, and God Bless Your Evening.